Our daughter always wanted to get married at our old barn, and we made that dream come true. We want to bring you and your loved ones the same experience we gave her. Those who have lived in the Great Lakes region for any period of time will recognize the magic in the phrase "heading up north." Everyone has that vacation spot that allows them to escape the hustle and bustle of the everyday and focus on what's really important: family, friends, and fun. 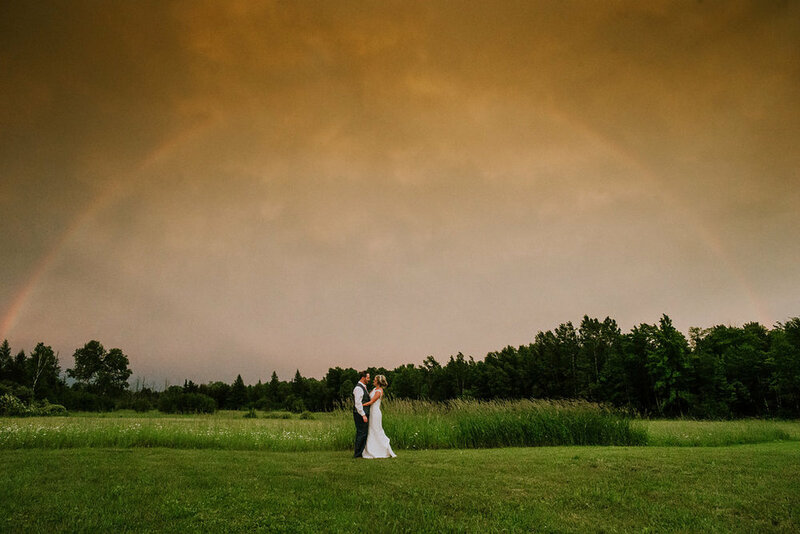 The Brule River Barn offers a way to bring this vacation magic to your wedding without leaving your guests behind. Join us on our turn-of-the-century dairy farm for the weekend (or more) to celebrate your love in the splendor of the outdoors. Settled via the Homestead Act in the late 1800s, the Barn originally served as frontier home then as dairy farm. In a time where modern buildings seem to come and go in a generation, the Barn is a testament to a bygone era of hard work and skill built with limited resources and technology. Today, it continues to stand for the tenacity and sisu of the original Finnish settlers of the era. Fallen into disrepair over the years, Jill and Kirk Clemmer rescued it years ago to become their family home. When their daughter was young, she sat in the willow tree dreaming of getting married there someday. When she got engaged in Deember 2011, her family came together with their many talents to transform the Barn into what it is today. Jill and Kirk continue to invite couples to share in the charm of the Barn as if they were family. Celebrate your union with your friends and family under the Willow Tree, in the Meadow Pavilion, in the Hayloft, or any number of sites around the beautifully landscaped grounds. Eat, drink, and be merry and settle down with your loved one at the end of the night in the Cottage. 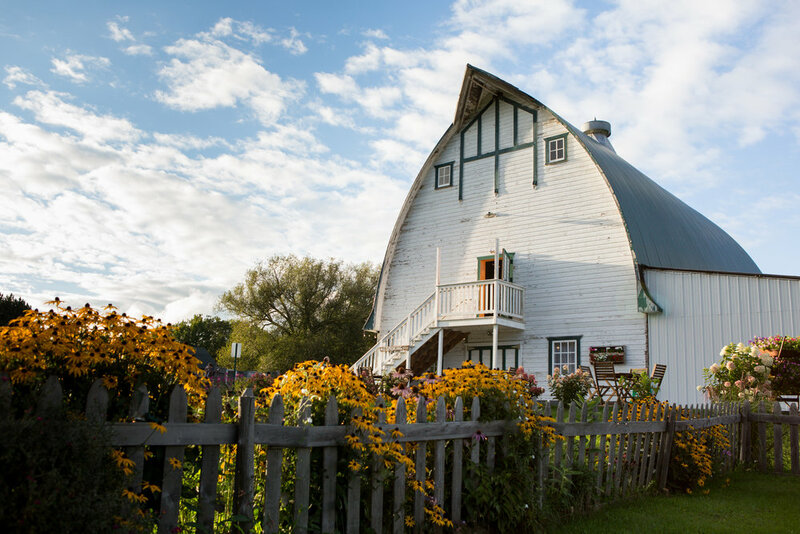 Whether it’s a family reunion, dance festival, memorial service, garden party, business meeting, or just senior pictures, Brule River Barn can meet your needs. We offer hourly rental of the Barn, outbuildings, and beautifully landscaped grounds for any size event you wish to hold. Relax and enjoy the slow beauty of the northwoods. Whether it's a vacation in your backyard or a getaway, come see the beautiful woods and rivers of Brule. Canoeing, fishing, hiking, snowmobiling, and snowshoeing are steps out the door, and shopping is only 45 minutes away. No matter what your event, we have the space to hold it. With five buildings (two with lodging), three formal ceremony sites, and multiple ponds and gardens, our venue is flexible enough to meet any event's need.